 Yaakov Katz, "Don't Underestimate Syria's Military," The Jerusalem Post, 13 April 2007; Paul Beaver, "Syria to make chemical boblets for 'Scud Cs'," Jane's Defence Weekly, 3 September 1997, www.janes.com. Greg J. Gerardi and James A. Plotts, "An Annotated Chronology of DPRK Missile Trade and Developments," The Nonproliferation Review, Fall 1994, p. 82. Anthony H. Cordesman, Aram Nerguizian and Ionut C. Popescus, Israel and Syria: The Military Balance and Prospects of War (Westport, CT: Praeger Security International, 2008) p. 203. 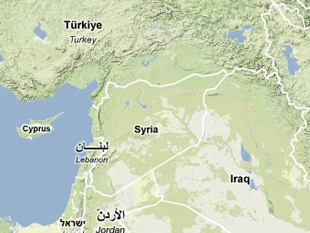 Khalid Hilal, Leah Kuchinsky and Amin Tarzi, "Israel Sees Growing Missile Threat from Syria," WMD Insights, July/August 2007. "Syria's Secret Weapons," Jane's Intelligence Digest, 30 April 2003, www.janes.com.